Last month, GlaxoSmithKline LLC asked the federal district court overseeing the Zofran birth defects multidistrict litigation (MDL) to dismiss the complaints or grant judgment in favor of the drug manufacturer on all of the involved lawsuits. The motion, filed on December 11, 2015, in the United States District Court for the District of Massachusetts, applies to all of the more than 200 member cases. MDL is a consolidation of cases that have similar facts and issues; it saves the parties time, effort, and uncertainty by streamlining pretrial steps like discovery that take place in each of the member cases. The lawsuits accuse GSK of failing to warn of the dangers of taking the drug and raise numerous legal arguments including negligence, fraud, defective design, and violations of state consumer protection laws. New plaintiffs have been steadily joining the proceedings. Because of the influx of new Zofran lawsuits, last November the parties agreed to pause individual responsive pleadings to allow time to discuss using master pleadings that would add uniformity to the lawsuits. 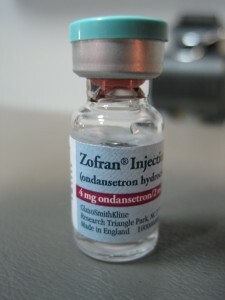 GSK’s Zofran has become one of the most commonly prescribed morning sickness medications in the country but it was formulated to control the overwhelming nausea often experienced by those undergoing cancer treatment. Under federal laws, GSK may only market its drug for uses approved by the U.S. Food and Drug Administration (FDA). The FDA has only approved Zofran to treat nausea in patients undergoing chemotherapy, radiation, or post-surgical nausea and vomiting; it has not been approved to control morning sickness. According to plaintiffs’ allegations, GSK not only failed to obtain FDA approval for prenatal use but intentionally excluded pregnant women from their trials. In GSK’s December motion, it requested that the court throw out all complaints against it alleging Zofran-related birth defects. The motion was based on an affirmative defense known as a “clear evidence” preemption. It alleges that there is clear evidence that if GSK had used the warnings proposed the plaintiffs, the FDA would not have approved the labeling and GSK could not have used it. Earlier this month, the plaintiffs filed a brief in opposition to GSK’s motion. The brief in opposition alleges that GSK cherry picked three plaintiffs from among the hundreds and then tried to generalize across the hundreds of other cases. The plaintiffs also argue that GSK has asserted an affirmative defense that requires a full evidentiary record which is not present here due in part to the stay that GSK proposed. Plaintiffs say that the motion is premature since discovery has not yet occurred. The court scheduled a status conference to take place on January 14, 2016, in part to consider whether the timing was correct for GSK to file its motion.